Nithu's Kitchen : Tell us about you Sara. Saraswathi Iyer : I'm from Bangalore, Karnataka, basically a HR person. I am graduated PGDHRM, Pune. Now mom of 2.3 yr old son. Saraswathi Iyer: Since we were in Joint family I used to see all my family members thats my mom and aunts in kitchen most of time. I used to see what all they do and sometimes used to help in cutting veggie. 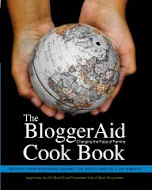 My interests on actual cooking began after my marraige and the interest I have shown in learning made me up to start a blog in 2006 with few recipes but then dedicated my blog for Food Recipes in September 2008 when I moved to Singapore. 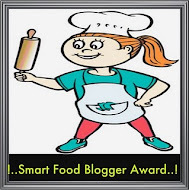 Nithu's Kitchen : Tell us about your blog. Saraswathi Iyer: Now My blog is nearing 250 successful posts. Also hosting monthly events, this blog has become very much part of my daily life. 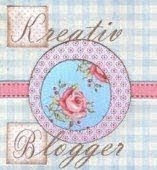 I've a second blog for Sara Food Events & Roundups of other blogs. 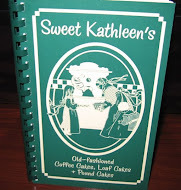 Nithu's Kitchen : What cuisine does your "Sara's Corner" focus? Saraswathi Iyer : You can find traditional Tamil Brahmin Recipes with North Indian, Karnataka, Kerala. Andhra Recipes few International recipes too in my blog. My new ventures are in Cake n Bake. Saraswathi Iyer : I was so happy to see my first cake baked. It was Orange Dates Cake. I should thank my husband for buying me an Oven for our anniversary. Nithu's Kitchen : What are your other interests apart from cooking and blogging? Saraswathi Iyer : My other interests are music, mehendi, dance, friends, handicrafts, painting, stitching, trekking, travelling etc. 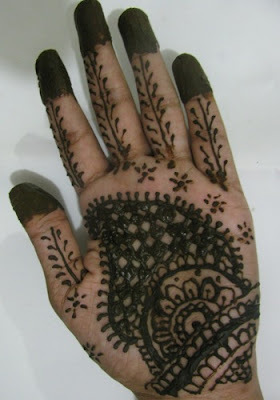 Nithu's Kitchen : Can you share us the picture of your mehendi? Saraswathi Iyer : Yes...You can see the picture below. Nithu's Kitchen : What was the very first dish you cooked after your wedding? Saraswathi Iyer : It was Bisibelebath. Saraswathi Iyer : My husband, as he gets it first to taste. Nithu's Kitchen : Do you have any unforgettable incident from your Kitchen. Saraswathi Iyer : After venturing in baking, I took a recipe from one of our fellow bloggers. That was actually a bread recipe and I tried to make bun. It was fun and went to bin. Nithu's Kitchen : What do you have today to share with us and why did you select the dish. 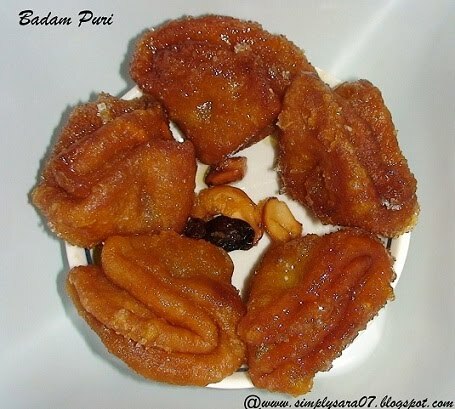 Saraswathi Iyer : Badam Puri. It is also one among the famous sweets in India. In a wide bowl, put maida, dalda and mix well slowly by hand. Once it is mixed well, sprinkle little water and knead like chapathi dough. Once it is thick in consistency like ball take 2 tablespoons oil and coat it. Leave it for 1-2 hours by closing a lid. In a bowl add sugar and water. Heat in low flame until sugar dissolves. Stir occasionally. Allow it to thicken slightly. Consistency should be such that when touched with 2 fingers and separated, thin string like should be formed. (avoid touching while it is hot you may wish to use a spoon to take little portion, cool it and then test the consistency). Sugar syrup should be sufficient to soak each lot of puris. Beat the dough nicely and make it soft. Make small balls. Flatten it into small round shape (Like doing for Puris). Fold it twice once to half and again to quarter. So you get a triangle shape. Heat oil in low medium flame in a Kadai and deep fry these till golden brown. Soak the first lot in the sugar syrup until next lot is ready for soaking. Allow it to cool. Repeat same process for all the remaining puris. Garnish it with grated copparai (Dry coconut). Badam Puri is ready to serve. Nithu's Kitchen : Thank you so much Sara. Friend, hope you all love Sara's delicious Badam Puri. 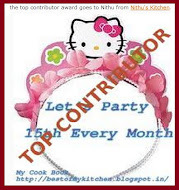 if you are interested to be featured as Nithu's Kitchen's Guest, please do drop a mail to nithuskitchen[at]gmail[dot]com. good interview.... The Badam puri looks so yummy. lovely post Nithu. 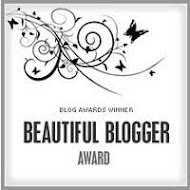 its always great to know some more about our fav bloggers. badam puri looks tempting. Nice to know about Sarawathi. Badam puri looks delicious. Good Job Nithu. yummy badam puri and beautiful henna design . A lovely interview! Its great to know about our fellow bloggers. Badam puri looks great. Lovely dish and Glad to know more about Sara !! A relaxxing interview. Like your way Nithu. Badam Puri recipe is inviting. Thanks for Sara also to share it. A relaxing interview. Like your way Nithu. Badam Puri recipe is inviting. Thanks for Sara also to share it. glad to know more abt sara..lovely recipe ! Wowww badama puri makes me drool..glad to know more about Saraswathi..u gals rocks!